Join us for our 2018 Year of the Dog Lunar New Year Celebration with your ATA Family. This year we will be back at the Asian American Resource Center Ballroom (8401 Cameron Road). We ran out of tickets last year so make sure to contact your board members to buy them ASAP! Bring 1 wrapped gift per family for our ATA tradition of raffle exchange. Kids craft table will be available. Bring money to feed the dancing lions! Kids will have an opportunity to receive red envelopes from our ATA elders. 5歲以下免費(餐點自理且用餐時不可佔位子). Free for under age 5. 全家都可以帶來 Bring the Whole Family! 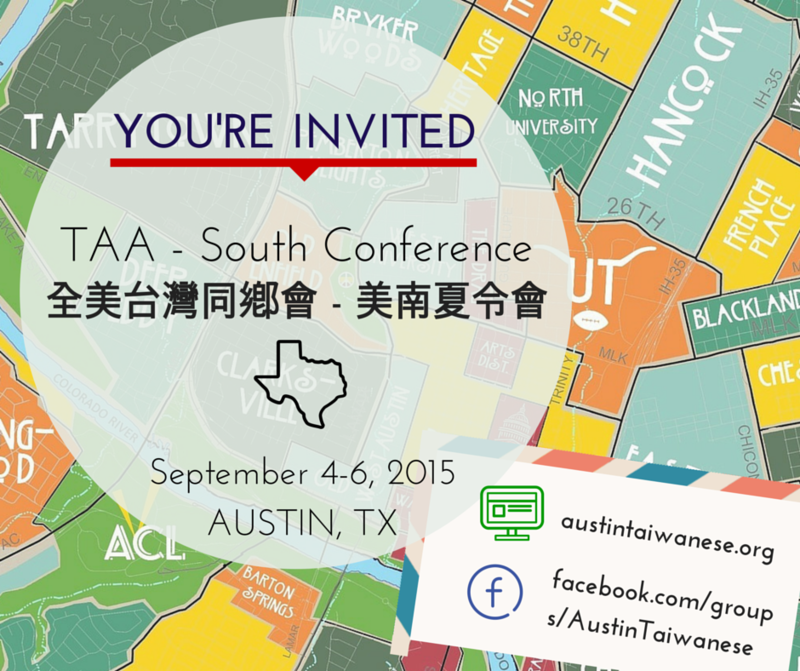 This summer conference will have speakers in Taiwanese and English, social activities for young professionals, youth program and day care for young children. Our popular Sunday night cruise on Lake Austin will be back as well! “Finding Us: The Real Face of Taiwanese Aborigines” is a cultural dance performance showcasing musical pieces from 7 aborigines tribes in Taiwan. The group is currently on a multi-city USA tour to promote Taiwanese Aborigines culture.